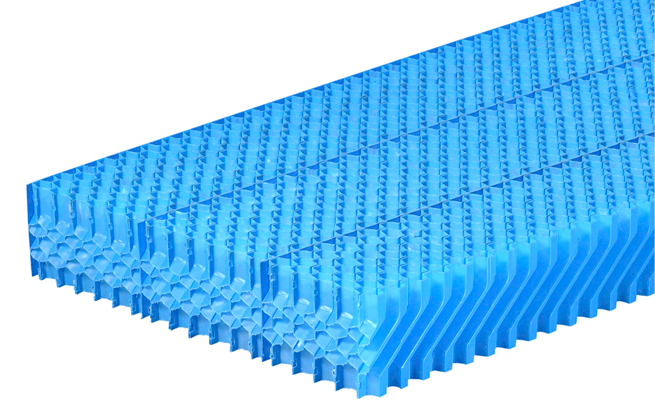 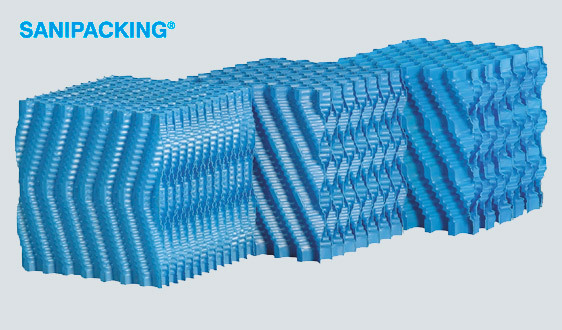 The filling SANIPACKING® and Drift Eliminator SANIPACKING® work by disrupting the metabolic process of unwanted micro organisms at the cell wall level, thus interrupting their ability to function, grow and reproduce. 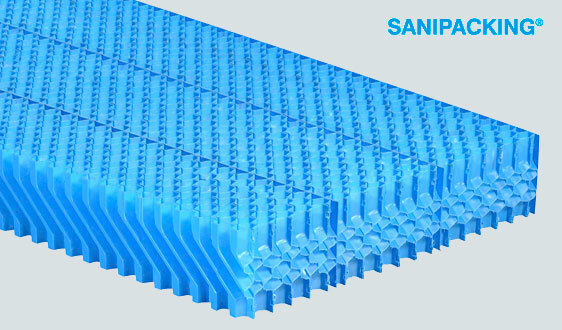 In combination with a regular maintenance and a correct water treatment, the SANIPACKING® components serve to minimize the risk of proliferation of bacteria in the refrigeration circuit. 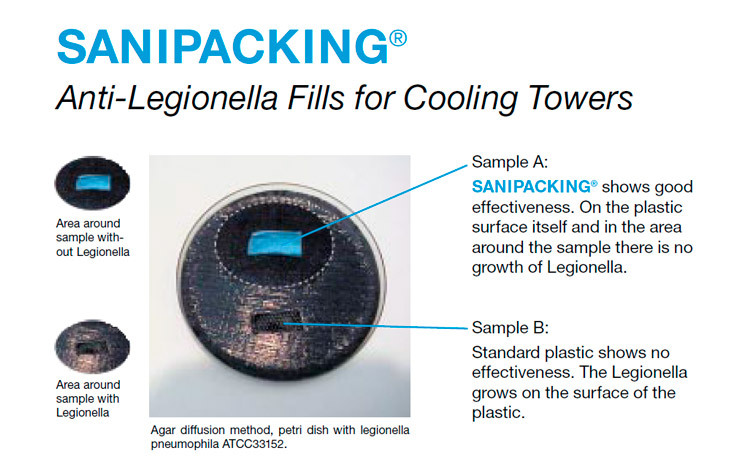 Sanipacking® Fill lab tests. 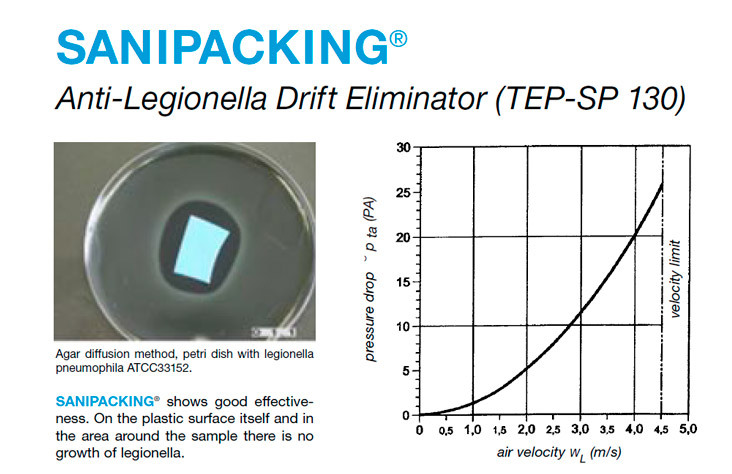 Agar diffusion method, petri dish with legionella pneumophila ATCC33152..
Sanipacking® Drift Eliminator lab tests. 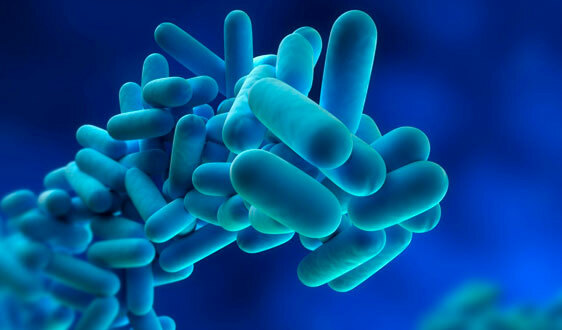 Agar diffusion method, petri dish with legionella pneumophila ATCC33152.